This entry was posted in Blog, Children's Health Insurance Program (CHIP), General, Health, Health Care, Health Insurance Blog, Health Insurance Plans on 06/28/2017 by Alejandra Vazquez. With longer days upon us, kids will be spending more time outdoors. But outdoor activities always bring the risk of danger and accidents. Much like sourcing different types of health insurance, it’s important to plan for the worst when it comes to your child’s safety. If you can be prepared for common outdoor accidents and know how to avoid them, your child can have fun, safe outdoor experiences. Here are four common outdoor accidents that can happen and how to help your child avoid them. Temptations in your neighbors’ yards, such as pools or trampolines, can be as dangerous as they are fun. Encourage your neighbors to put fences around equipment for everyone’s sake, and do the same if you own them. Sit down and discuss with your kids the importance of staying off trampolines and out of pools if grownups aren’t present. If kids understand the risks, they won’t be as likely to get into dangerous situations. Sometimes Mother Nature can be the worst culprit of all when it comes to ruining your child’s outdoor experience this summer. If you can catch your kids before they head out the door, apply both bug spray and sunscreen. Have protective clothing available for kids who might run through tall grass. Also remember to protect youngsters from the sun. The CDC offers comprehensive advice for parents whose children are highly susceptible to sun damage and need a little extra protection. Children on the move are all about bikes, scooters, or rollerblades. These are fun ways to get some exercise and fresh air, but they can also be dangerous. Kids need to understand the risks of playing near moving cars and should be reminded to really keep a lookout. Invest in and enforce your child’s use of helmets, knee pads, elbow pad, and other recommended safety gear. 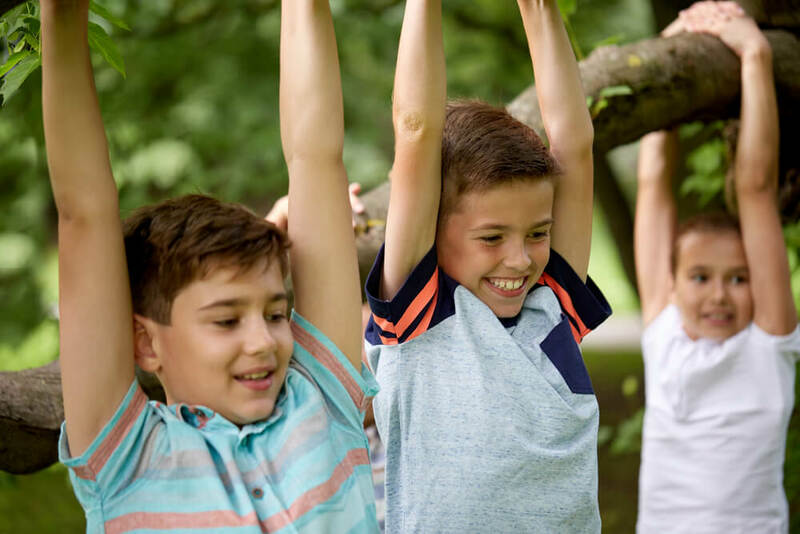 Kids will be kids, and if there are jungle gyms or trees in the neighborhood or local park, your child might not be able to resist the urge to get to the top. Ask the city to come and do routine maintenance on trees and equipment in public areas that aren’t up to par. Jungle gyms and trees on your own property may need a little work, too. Make safety a priority for the neighborhood children who play in your yard. Accidents can happen, so sourcing quotes for health insurance will cover your child in case a trip to urgent care is called for. Kids can benefit from time outside in so many ways, so do what you can to make it a positive experience. Keep them safe this summer – avoid common accidents and pitfalls, monitor their outdoor activities, and learn about different types of health insurance to see what’s best for them. If you’re looking for an affordable health insurance plan to protect you and your kids, Freeway Insurance can help. Get a free health insurance quote online or by calling (888) 443-4662. We can help you find the best health insurance plan to fit your budget.